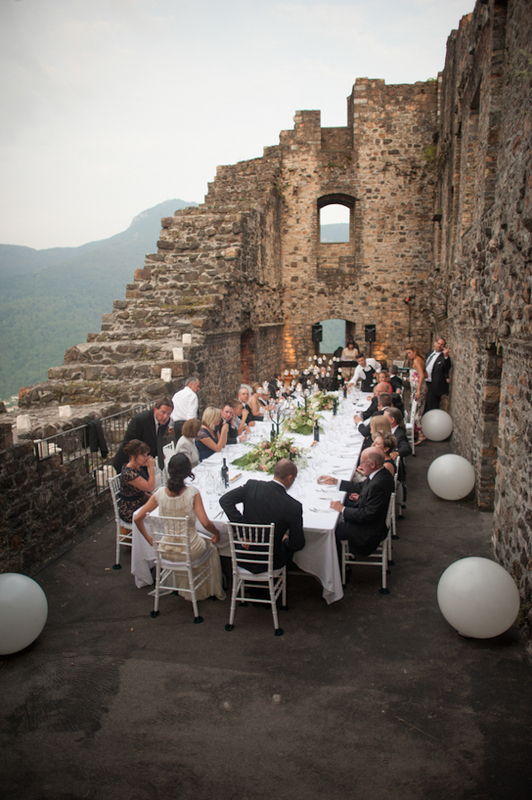 4 Pros & 4 Cons Of Considering A Small Wedding! One of the first things to consider when you start planning your wedding is a rough estimate of how many guests you’d like to invite. Everyone makes their choices for what is right for them and their families, but I’m here to put in my two cents on the Pros and Cons of a Small Wedding (60 or fewer guests). This seems like the obvious first and biggest reason for choosing a smaller wedding, and you’re here, so I know you’re a budget savvy bride. With a smaller guest list, you’re open to smaller and even non-traditional venues, which are sometimes cheaper. With fewer guests your budget will stretch further for catering, dessert, alcohol, invitations, and favors. There will need to be fewer tables, so that’s less tablecloths, chairs and chair covers and centerpieces. For us, we realized we had a certain amount of money to spend. We could either have a guest list of 100 and feed everyone tacos off of paper plates (still fun, I was tempted!) or we could feed 40 people salmon, organic produce and gourmet ice cream off of ceramic plates. I say “relaxed” in quotes because this is the idea in theory, but I have a feeling it’s pretty difficult to stay totally relaxed on your wedding day, regardless of the number of guests. However, at weddings with the guest count at 100+ the couple can end up feeling frenzied, never being able to sit still and have a full conversation, a full drink, a full meal. With a small guest list you have more time to spend with your core group of people, and the receiving line is a non-issue. John and I went for a small wedding because we both live far from all of our families, and so the opportunities to see them are rare. The opportunity to see them all at once has never happened before. I wanted to be able to focus my love and energy on my mom, siblings, and in-laws, not my coworkers and their dates who I’m meeting for the first time. 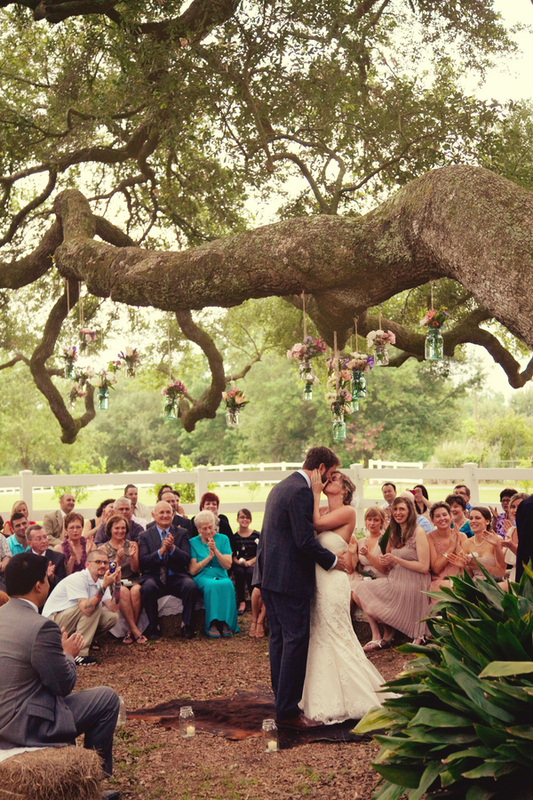 Every wedding is special and ripe with emotion, regardless of how many people are there. However, to me weddings with a larger guest list feel to me to be more like “wedding + event” type feel, whereas a smaller guest list makes for a more “wedding + dinner party” type feel. Personally, I want to feel free to cry during my ceremony. I want to be completely present while I say my vows. If we had chosen a large guest list, my shyness would have made me feel like it was more like a performance, less like ceremony. When there are fewer guests to DIY favors and invitations for, and fewer tables to decorate, you can tackle bigger projects. Or, you can be a bit more assured that you can finish those projects. 4 centerpieces? No problem! 20 centerpieces? Possibly doable, but I may lose my sanity along the way. There are so many people in your life that are happy and excited for your upcoming marriage/wedding. For them to not be invited can hurt their feelings. The planning of any wedding will involve stress, and the why-am-I-not-invited stress is going to be more common with a small wedding, naturally. Most of John and I’s friends and families understand who we are and their response to our small guest list has mostly been supportive. Something along the lines of “I’m sad I can’t come, I understand the choice. Just send me photos!” Surprisingly, the most upset people were two people who, without airing too much drama, had once been in our bridal party and have since taken themselves out. They were invited, but because there wasn’t an open door policy for them to invite their friends, they were incredibly upset, and unfortunately quite mean about it. If your parents are paying for your wedding, it will take a lot more difficult to convince them that they can’t invite their own guest list. Luckily for us, we’re paying for our own wedding, and our parents have no qualms about any of it. At first I thought, “Small guest list, I’ll only invite the people I want to invite!” Unfortunately, that’s not entirely the case. As it turns out, there are dozens more people I would like to invite. It’s made me a little sad when friends have thought they’d be invited, and I wish I could invited them, but I have to say no. If you’re a very social person with lots of friend groups, a small wedding may not be for you. What if no one shows up?! Wedding planning is a big bag of emotions and anxieties, and small weddings are not immune. A special one that is not unique to a small wedding, but feels more possible, is the “what if no one shows up? !” fear. When you’re only invited 40 people, especially if many of them are from out of town, the possibility of even a few empty seats is terrifying. If 10 people are no-shows at a wedding with 100+ people, they may not even be noticed. If 10 people are no-shows at a wedding with 30 people, that impact is felt heavily.